Staged by 350 Idaho and Wild Idaho Rising Tide, the first ever southern Idaho transit and protest of controversial tar sands megaloads, relatively close to the Boise metropolitan area, attracted several regional, commercial and private media representatives, who interviewed and photographed participants [3, 4, 5]. For a third winter, the vigilant activists stood in defiance of the global impacts wrought by tar sands shipments that ultimately degrade public infrastructure, civil liberties, indigenous lives and ways, boreal ecosystems, and worldwide climate . Except through public displays of dissent, they have found no recourse to the state and federal governments who permit, subsidize, and accept hefty lobbyist donations from the wealthiest corporations – the oil, gas, and coal companies – to profit from the largest and most destructive energy extraction project on Earth. During its movement through Marsing crowds, the megaload pull truck clipped a stop sign at the tight, 90-degree T intersection of Highways 55 and 78, another instance of Canadian oil companies jeopardizing public resources and profiting from Idahoans hard-earned tax dollars. Even while corporate megaload proponents apparently made fools of their citizen hosts, many local people cheered on the Omega Morgan transport on Saturday night. As usual at unpopular, peaceful protests, the excessively large number of county and state police, serving as convoy guards and escorts, implicitly and directly warned the stalwart objectors to not make any trouble in their territory. 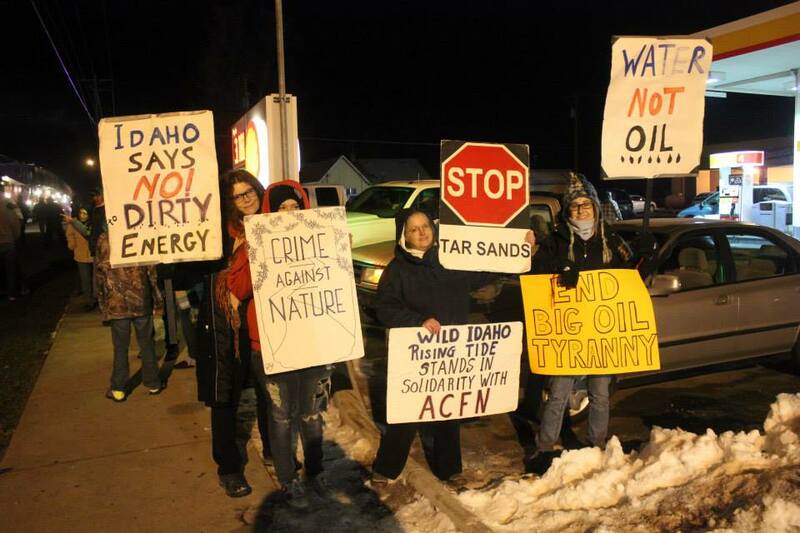 The unique presence of protesters in their town prompted some older residents to call the demonstrators hypocrites, due to their use of fossil fuels, or to ask them if they would rather buy oil from Canadians or “Ay-rabs.” Naively blameless as the romanced targets of oil companies and notions of individual profit and cultural warfare, locals in the crowd surrounding the protesters flipped them off and called them idiots. Some community members, however, were receptive to the activists’ insistence that a national transition toward alternative, sustainable energy sources must arise from grassroots and consumer resistance. Kendall Jeffs and her daughter Megan came from their rural home 25 miles away to protest megaload passage through Marsing. Both generations stood in solidarity with the myriad current and future families impacted by the boundless toxins and greenhouse gases that megaload-built mining projects will release into vast watersheds and the shared atmosphere. Over the last month, Umatilla and Warm Springs tribes, Rising Tide groups, and allied organizations and activists have staged dozens of actions escalating Northwest resistance to tar sands mining and megaload exploitation of indigenous and public resources. At least five Umatilla-led protection ceremonies in Pendleton, four Port of Umatilla protests and blockades, three Portland and Seattle area office occupations of megaload hauler Omega Morgan and megaload designer Resources Conservation Company International, two blockades in John Day, Hermiston and Stanfield protests, a Portland visit to the Oregon Department of Transportation, and a light brigade overpass action have resulted in nineteen mostly illegal arrests of activists at four blockades . 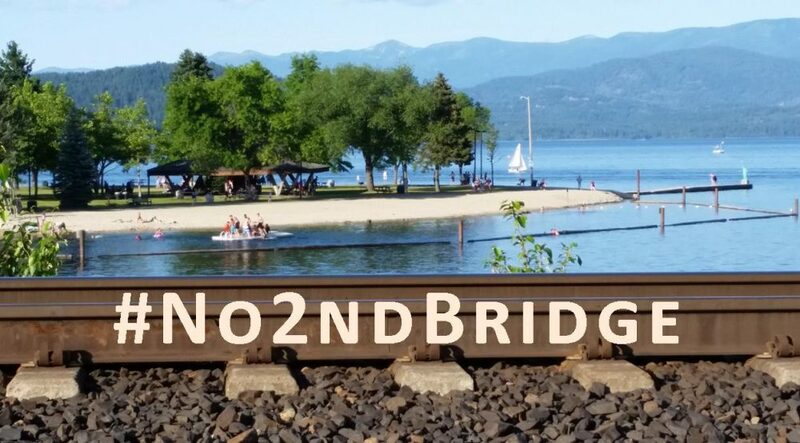 This entry was posted in Oregon Resistance, Photos by WIRT. Bookmark the permalink. Here is a link to a HD video that I put together at the Marsing, Idaho megaload 90-degree corner movement on December 28, 2013. Helen Yost of Wild Idaho Rising Tide provided a narration describing the “humongous” megaload event.